Monrovia – University of Liberia student based political movement, Students Unification Party (SUP) has launched a campaign, calling for the resignation of President George Weah. SUP, in a press conference Monday, said the call for the resignation of President Weah is based on factors that are counterproductive to the livelihood of Liberians. “SUP believes that the state under his hegemony is fast crumbling and this tragedy could deepen if he doesn’t resign or be impeached,” SUP Chairman Carlos Tingban Edison said. Outlining 60 reasons categorized in five thematic areas, Edison said the crumbling economy compounded with the increase hardship, bad governance, attacks on press freedom, rising inflation and disregard for the rule of law and the Liberian Constitution are unbearable under the Weah administration. According to Edison, the practice of ill-transparency and the President’s inability to adhere to promises made are evidence of his inability to lead Liberia. According to SUP, “President Weah risks impeachment if he dares not relinquish power peacefully”. 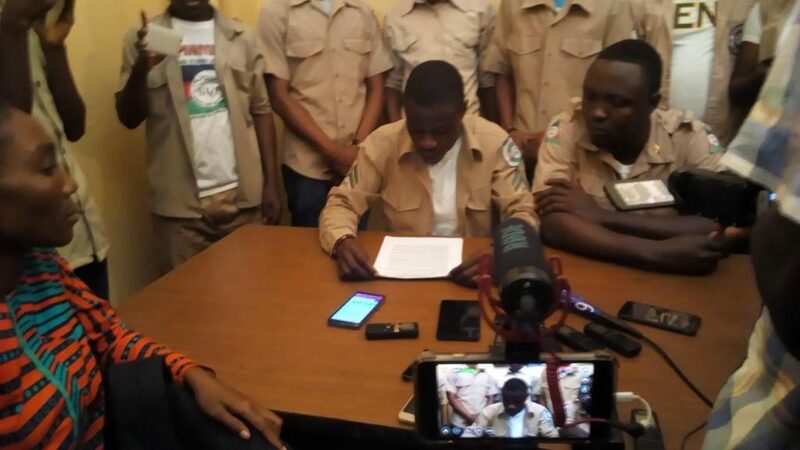 Edison has announced a “Weah Step Down Campaign”, threatening to stage rallies and mass demonstration which could accordingly lead to a nationwide protest. “SUP, therefore, calls on all Liberians across political religious, social and economic lines to unite with urgency and join us in saving Liberia from this national catastrophe and nightmare,” Edison stated. The student-based movement frowned on “selective justice in the fight against corruption” by the Weah administration. According to Edison, Finance Minister Samuel Tweah and Central Bank Governor Nathaniel Patray should have been arrested along with others who are already under trial for their association with the misapplication of US$25Million. He expressed disappointment that Liberia, under the Weah leadership, has for the first time since independence being ranked poorest in the world, quoting a November 29, 2018 report published in the US Today. Edison noted that President Weah’s move to appoint and commission an Ambassador to the US without the consent of the Liberian Senate grossly violated Article 54 of the 1986 Constitution of Liberia, which is disregard for the rule of law. Additionally, he named the continuous violation of part 5 section 47 of the 2005 Public Procurement Concession Commission Law which demands competitive bidding as a normal routine of the Weah’s leadership. At the same time, he said Weah government has suffered several setbacks from failed loan agreements while USAID’s Kroll report has indicted officials of his administration for misuse of public fund. While SUP welcomes the passage of the Kamara Abdullah Kamara Free Speech Act, it claims that the press under President Weah has been the victim of harassment, censorship, and intimidation. 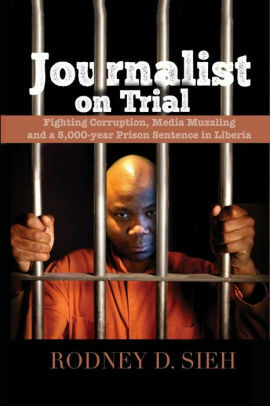 Said SUP: “In less than two years, the press has suffered consistent attacks by ex-soccer star George Weah and his loyalist, placing Liberia 89 out of 180 countries, according to World Press Index.” Meanwhile, Edison maintained that SUP will not sit by quietly in the face of difficulties being encountered by Liberia but will use the “Weah Step Down” campaign as the last hope.